Monaco is a throwback to the tabletop games of old. It takes a top-down view in the same vein as the classics of the eighties, Pac-Man, Space Invaders, and Centipede. I can still remember waiting for a table at Western Sizzler as a child and playing a tabletop Ms. Pac-Man, but I digress. This Xbox Live Arcade beauty has won several independent game of the year awards. It has a 79 on Metacritic, which is pretty good considering its graphics would fit right in with those other tabletop games. Let's just say they don't rely on stunning CG to cover the lack of a quality game. 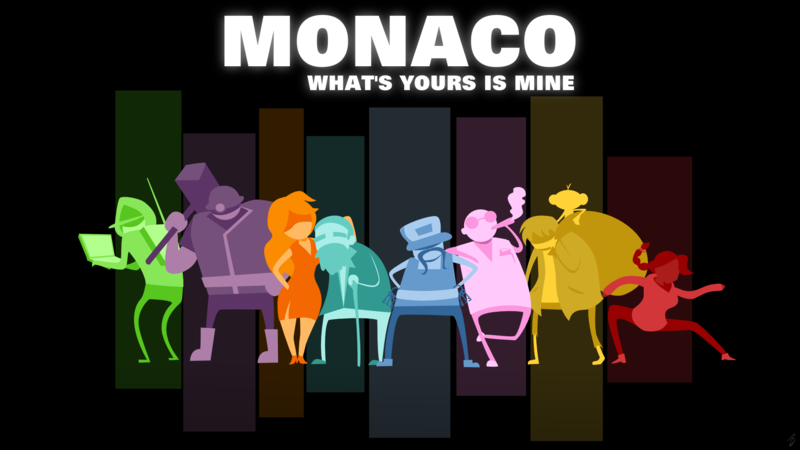 Monaco proves you don't need mind-blowing graphics to create an enjoyable game. 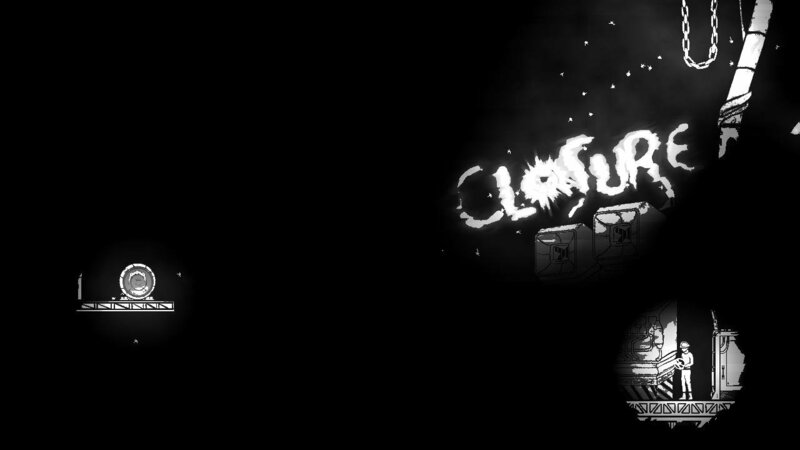 It has a fun story, a good sense of humor, a nice melange of character options, and challenging gameplay. Put them all together and you get a unique game that takes you back fondly to your earliest years in video gaming. You can keep the "you're old" jokes to a minimum. I realize I'm dating myself here. The comparison to Ms. Pac-Man or, more accurately, Gauntlet, are apt in both visual depiction and enjoyment. The gist is that you are a part of an Ocean's Eleven-like team of thieves, burglars, and general n'er-do-wells. Holding down L2 or left trigger put you into "sneak" mode. This made you fairly hard to detect, but if you walked in front of an officer, it didn't matter at all. You start the game with four of the eight character types. The other four must be liberated from captivity before they can be used. Along the line you rob banks, steal yachts, crack safes, kill cops, and cause country-wide mayhem. The story was cute, but not where developers placed their focus. 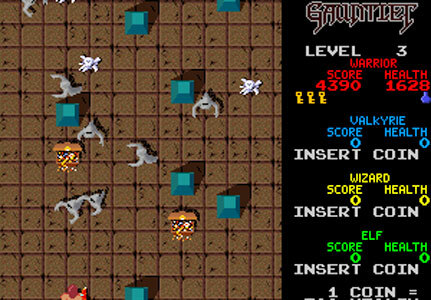 The focus was clearly on unique and addictive gameplay. All of the speaking in the game is in French, which is strange considering the developers are based out of San Francisco. However, I suppose the events of the game do take place in Monaco, so it makes sense on those terms. You can play the game in single player mode, but it really shines when four players are trying to be stealthy together. The chaos is unlike anything I've seen in Halo or Call of Duty. Instead of it being four times easier, as is usually the case when you fill out a multiplayer team, it was four times more challenging. Keeping one character hidden is hard enough. Keeping four out of all the guards' line of sight was nearly impossible. I was definitely the weak link in the chain, too. In my defense, my friends had been playing for two weeks and it was my first time. Now that you've heard my excuse, you'll understand I know that of which I speak when I say that you spend a LOT of time in multiplayer reviving teammates. The line-of-sight display used in Monaco means you can only see what was visible by your flashlight or ambient light from the environment. Even though certain rooms may be on the screen, unless you are physically in them you can't see what's going on. It would be nice to know whether there are cops inside or not. This effective visual decision made picking locks and entering new areas nerve racking, but in a good way. It was one of the little stealth additions that make Monaco a success. When you aren't relying on stunning graphics as so many of today's games do, you absolutely must have extra polish on your gameplay to get any attention at all from the gaming public. The Hacker can disable computers and cameras faster than other characters. He can also create computer viruses from outlets. The Cleaner can knock out unsuspecting guards. If they don't see you coming, you can put them to sleep for a short period of time. The Cleaner also uses med-packs faster than other characters. 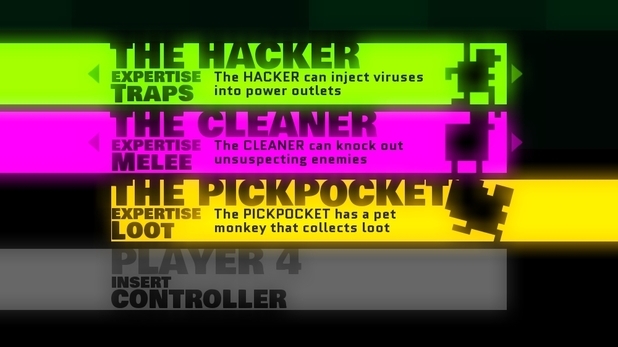 The Pickpocket has an adorable pet monkey that collects coins and other loot for him. Hector (the monkey) won't alert guards, so you can stay hidden while he does the dirty work for you. The Pickpocket also hides in bushes faster than his compatriots. The Gentleman can create a disguise while hidden. It doesn't last very long, but can be vital in keeping you from meeting your maker when being tailed by five or six trigger-happy coppers. For some reason, they don't seem to realize that they were shooting at you not seconds before once you don a disguise. He also enters getaway vehicles faster than the other thieves, but I never found that to be an advantage as you were pretty much free-and-clear once you reached the car. The Mole has the ability to chomp through most walls and obstructions. This was invaluable when you were trying to escape from a bevy of guards. It also made getting around the board more straightforward. One of the problems I had with the game was the inability to tell what was a door and what was a wall. With the mole, you could go through either. The Redhead has the ability to seduce a single enemy. More than one and she was toast, but she can get one guard to chill out if he's chasing her by himself. She also revived teammates faster than any other character type. The Locksmith can, fairly obviously, pick locks very quickly. That includes doors, safes, cash registers, and ATMs. The Lookout has the useful abilty to see every guard on a level while sneaking. She can move faster than any of the other types. She can also open windows, vents, and stairs faster than the rest. The music is as retro as the graphics. 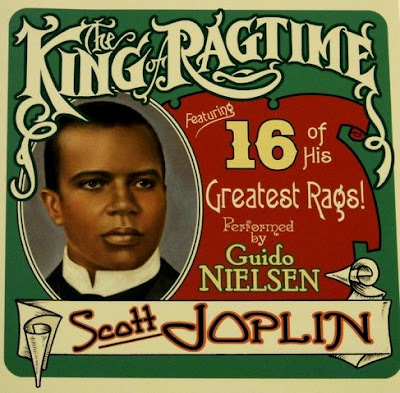 It brings to mind Scott Joplin and leans heavily on piano music from the first half of the twentieth century. The opening music sounds like it belongs in a saloon in Dodge City with Wyatt Earp dealing Faro. It also plays a part by informing the action. When you are undetected, there is little to no soundtrack. Someone just tickles the ivory. However, when a posse of guards is hot on your trail, the Joplin-esque piano really kicks into high gear. I found it to be a quality addition that really improved the overall experience. The game is very challenging, sometimes a bit too much so. It operates under the same gameplay model as those previously mentioned games from the eighties. You aren't supposed to be able to clear a level on your first try. This model varies widely from most modern games. Many of today's titles have levels that are passable on your first try. The focus is more on progressing the story line than mastering each individual level. For example, I knew every level warp, extra life, secret trick, and negative world in Super Mario Brothers. In today's games, an online walkthrough is almost always required to learn every secret that a title has to offer. For completionists, online walkthroughs have become a completely necessary part of the gaming experience. Many people, myself included, purchase 400-page game guides in order to achieve the same level of knowledge about a game that used to be acquired via multiple deaths and playthroughs. One reason for this shift in gaming trends is simply the size of games. 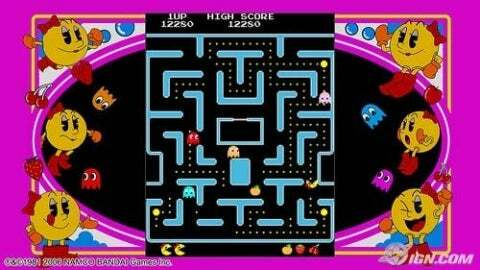 HowLongToBeat.com claims Ms. Pac-Man takes 2-3 hours to beat, but I never came anywhere close to lasting that long. It took 3-4 hours to cover every level of Super Mario Brothers. Some single missions in Skyrim could take that long. To reach the same level of completionist OCD relief in Skyrim as Mario, you would have to spend at least 200 hours playing the game. If Skyrim missions were as difficult as those in Monaco, that number would be closer to 1,000. At first, the requirement that you replay levels over and over was a tad annoying. As the game went on, though, I grew to love the older style of gameplay. Like Mario Brothers and Pac-Man, you are given three lives in Monaco. Once you use them up, it's game over. It's been quite a while since I played a game with a limited number of lives. The retro-style design and gameplay were great fun and a nice change of pace from most of my recent fare. Although it could be a bit disheartening when you failed a level for the tenth time, it made it all the sweeter when you finally cleared it. I did more yelling at this game on my television than I have at anything short of sports for a long time, both out of anger and sheer joy. Bonuses: +1 for making a supremely rewarding game despite the lack of graphics on par with this generation's biggest titles. 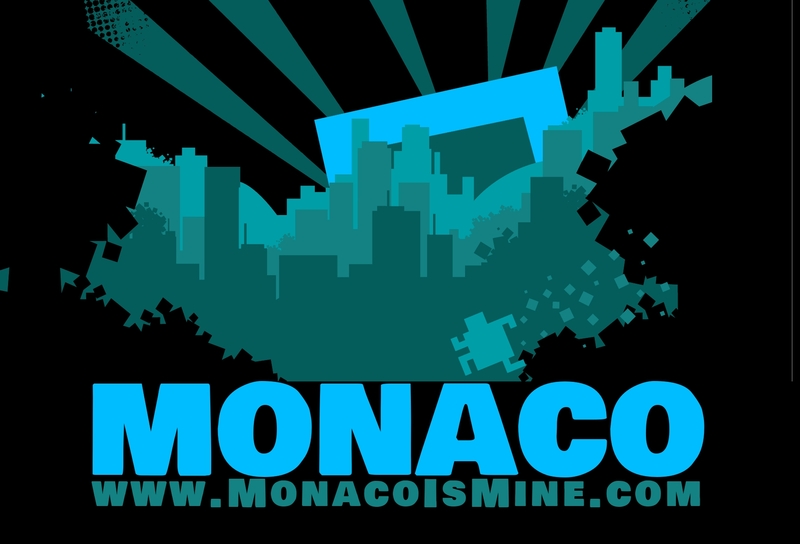 I'm not a huge "independent" gamer, but Monaco has convinced me to give more Live Arcade indie titles a try. Penalties: -1 for being so difficult as to possibly turn off some gamers before they really get into it. If I didn't have to play it for this blog, I might not have made it through. Nerd Coeffecient: 8/10. Well worth your time and attention.